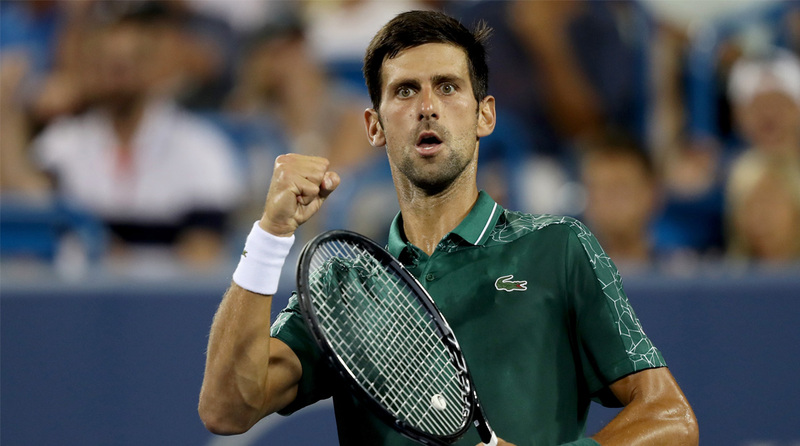 Serbia’s Novak Djokovic has defeated Switzerland’s Roger Federer 6-4, 6-4 in the Western & Southern Open here, finally winning the tennis tourney that had eluded him. This was Djokovic’s sixth Cincinnati final, but his first win. Three of those losses had come at the hands of Federer, but not this time, reports Efe. The Swiss player, the No. 2 favorite, was facing just the opposition situation on Sunday, given that he had won each of the seven Cincinnati finals in which he had played, the latest in 2015. The ongoing duel between the two tennis icons on the international tennis circuit is already a classic rivalry. With Djokovic ranked No. 10 in the world and Federer No. 2, the pair are never far from the final rounds in the various competitions. Djokovic is trying to get back to the pinnacle of the tennis world after the relative obscurity in which he spent last season. Cincinnati showed that the Serb is approaching the summit, winning at Wimbledon and now in Ohio, and also becoming a finalist in Queens. He easily defeated Federer on Sunday, although the Swiss player broke the Serb’s serve early in the second set to go up 0-2. But he couldn’t take advantage of the situation and got broken in return, with the Belgrade native going on to rectify the situation and take the set. Djokovic ultimately needed only 85 minutes to cruise to victory. Federer had won the Australia, Rotterdam and Stuttgart Opens earlier this season, but he had lost at Indian Wells and Halle.